Long before the clocks are reset by an hour, the days have been growing markedly shorter. Overcast grey skies have meant that many of us use additional lighting during the day. In doing so, it’s probably made you to reconsider how you use light. For example, where in the room should the lights be, how strong should they be and can they be a feature in their own right? Autumn lighting is as much about creating an ambience as it is brightening up the autumn gloom, so let the ani M INTERIORS team light the way. When it comes to making a statement, it doesn’t get much grander than a chandelier. Giant collections of shimmering star-like crystal, they scatter light around space. But if the traditional clear chandeliers aren’t quite what you are after, this glorious Eternity III version from Koket will no doubt hit the mark. Brass clusters of dark crystal look other-worldly and once it’s lit, the crystal and brass glow like the embers of a volcano. Traditional pendent lamps beam light in one direction while spotlights can feel a little utilitarian and stark. 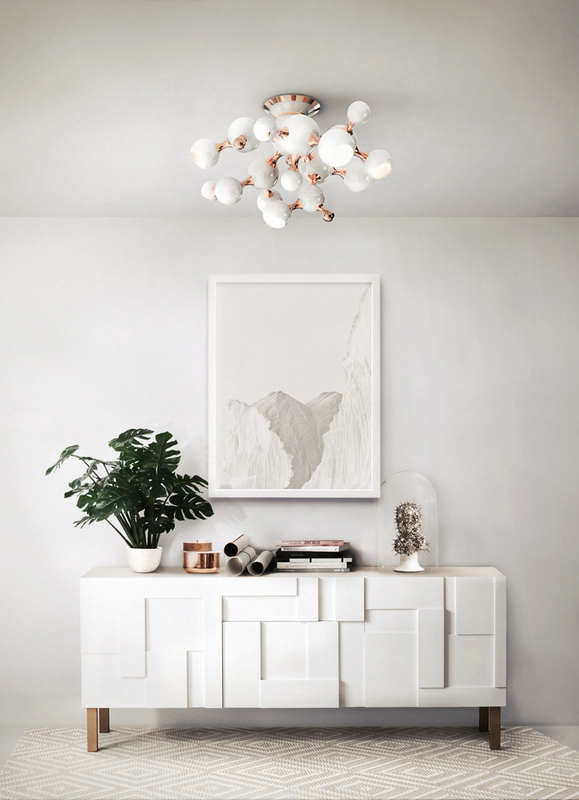 Enter the Atomic suspension light from Delightfull. Resembling a cluster of atoms, it spins diffused light in different directions from a central point. What’s more, this pendant can evoke different moods. In a child’s room it can look like a rising bunch of balloons, in a sophisticated dining space it can look like an orbiting satellite. From the 17th century onwards, the popular thing to do for those of means was to undertake a Grand Tour. The returning gentry would bring back souvenirs, renderings of the wonders of the world they had seen in miniature. 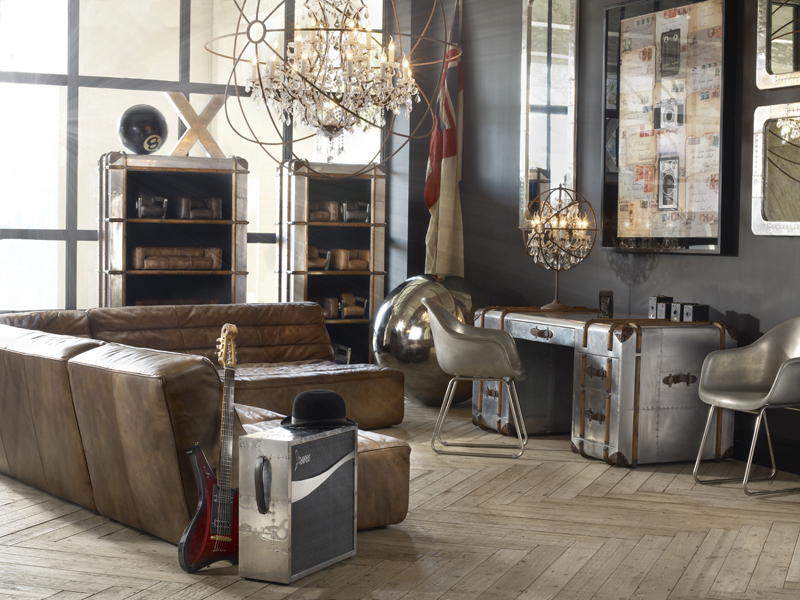 The Gyro Crystal Table Lamp from Timothy Oulton recaptures the spirit of this bygone glory. This miniature model of a grand traditional chandelier, sitting in a display case of metal spheres, wouldn’t look out of place among a collection of objects d’art from around the world. The blog on Autumn Trends 2015 explored the effects of the changing light on the colour spectrum. Southerly summer light has plenty of yellow and orange hues while northerly winter light has blue and grey hues. So the change in seasons has a dramatic affect on your décor. A great way to cheer up autumn is to choose vibrant colours that are enriched by the cool light rather than drained by it. 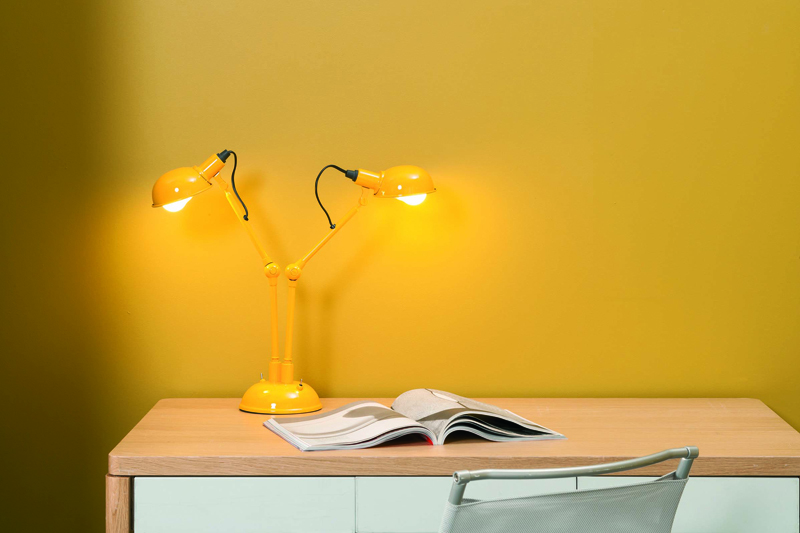 This is true for this Tommy lamp from Habitat, the simple shape has great character while the bold splash of yellow can’t fail to raise a smile. The Modernist movement created clean, strong furniture forms. Whilst, their beauty was often in their simplicity, some furnishings took on an austere air. Not so with Greta Grossman’s ‘40s and ‘50s Gräshoppa and Cobra floor lamps. 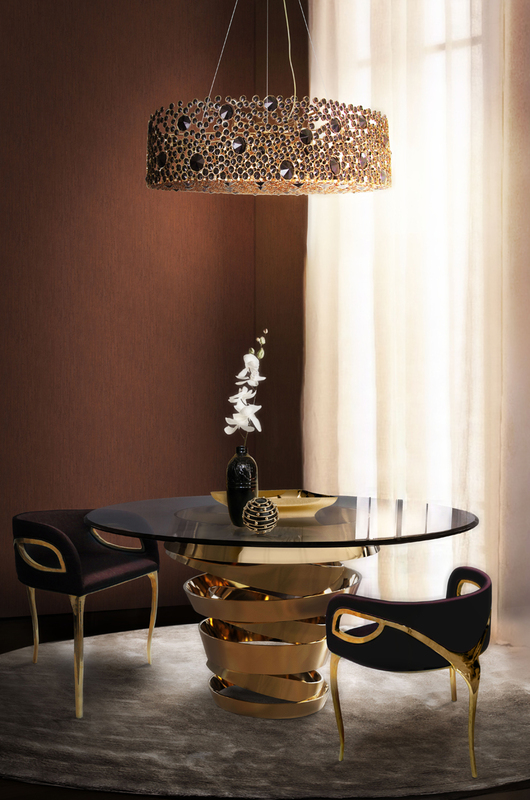 These timeless, structural pieces have great personality and irresistible charm. 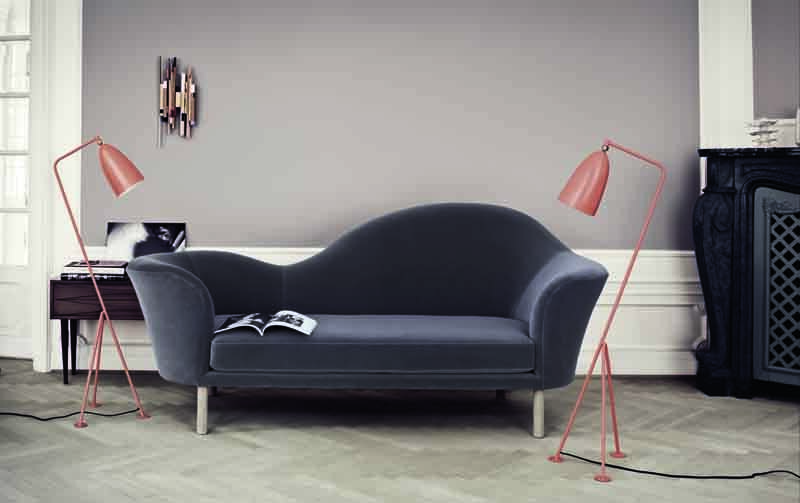 Reproduced here by GUBI, the Gräshoppa floor light is a true work of art. 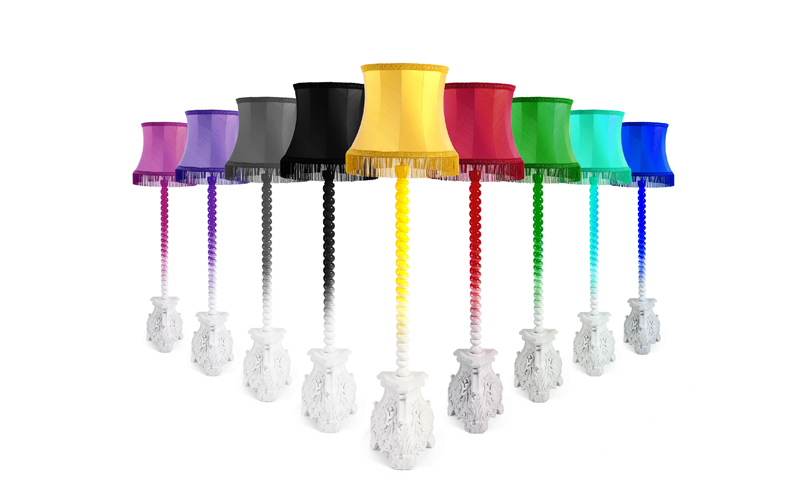 Floor lamps have taken an unexpected turn with Boca Do Lobo’s Skyscraper design. Tradition fuses with modern as the ornate, side-table base rises through a series of turned mahogany globes to a traditional silk lampshade. The lacquer effect of the wood is treated to primary colours and the two-tone treatment makes the base strangely transparent. It is as though the lamp is rising out of the ether like a skyscraper. So much of design is about doing something unexpected, looking at an everyday object in a different way, changing the shape, the texture, the form. That’s exactly what Uber has done with its Abstract wall lights. 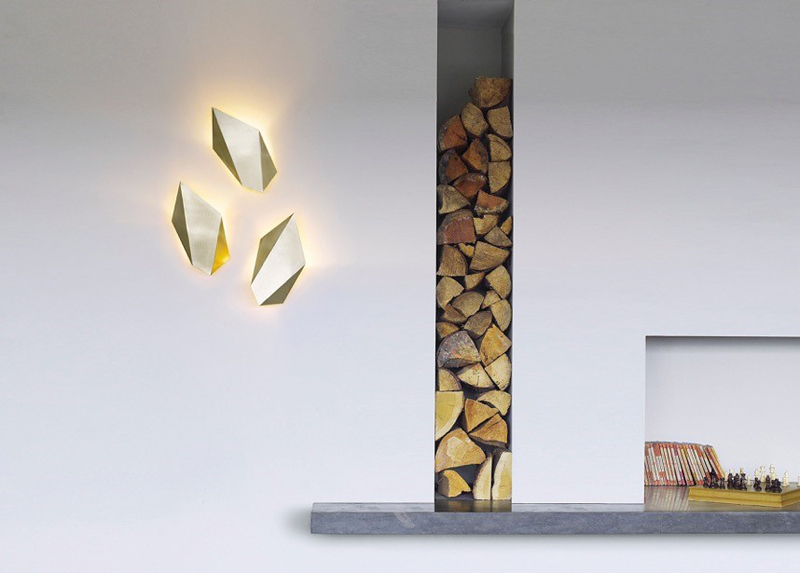 Made from a single sheet of brushed metal, these jewel-like objects have more in common with art gallery sculptures than with domestic wall lights. These strange, glowing stones will create a cosy ambiance of defused light. In the ancient world, the lotus flower symbolised rebirth because it closes and sinks beneath the water at nightfall and rises and opens again at daybreak. 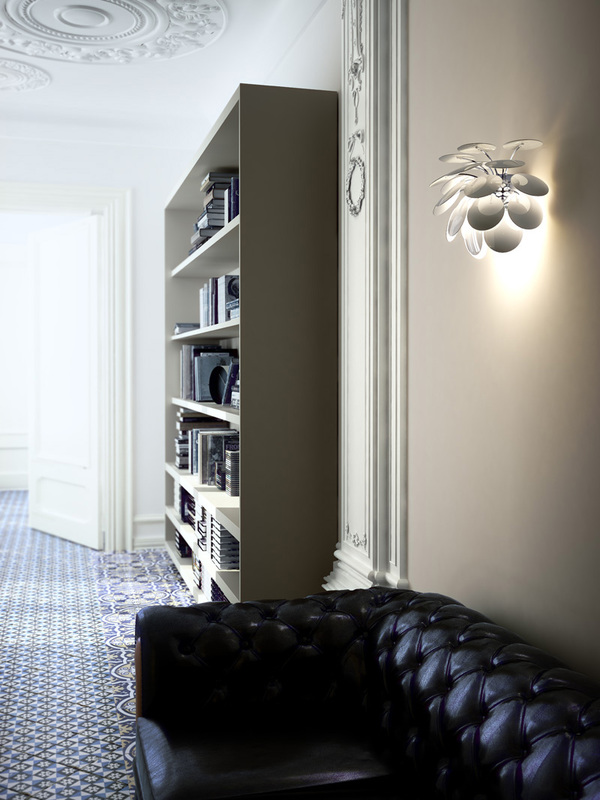 Interesting then that as we are feeling the effects of the autumn’s weakening sun, Arenas Collection has created a wall light in the shape of a lotus flower to bring the light and warmth of the sunshine to the home. The Discoco’s opaque discs will spread the light like a sunrise. While autumn is a magical season of colour outside, inside our homes can feel dull and gloomy, but clever lighting can change that. Subtle, diffused light from sculptural wall designs, scattered beams from show-stopping pendants and structural floor lamps with character will lift your interior beyond the gloom. Now is the season to see your home in a new light. If you would like to draw on the team’s experience and know-how to choose the right lighting for your home, then get in touch today.